October was a bust in terms of keeping up with the project. I've managed to keep up with the reading a short-story a day but unfortunately, the reflections are about two weeks behind. October, of course, was an extremely busy month both personally and professionally. Personally, I got married and since we did a semi-destination wedding, it was a very busy week. I also ran my third marathon. I participated and helped run a conference. All of it came in addition to my regular work of an instructional designer, teaching, and writing. So I did fall behind on the work, but will catch up soon. That being said, as I cross into November, month eleven of this twelve-month project, I'm impressed with the breadth of stories read thus far. Over 300 short stories and another 60+ to go. 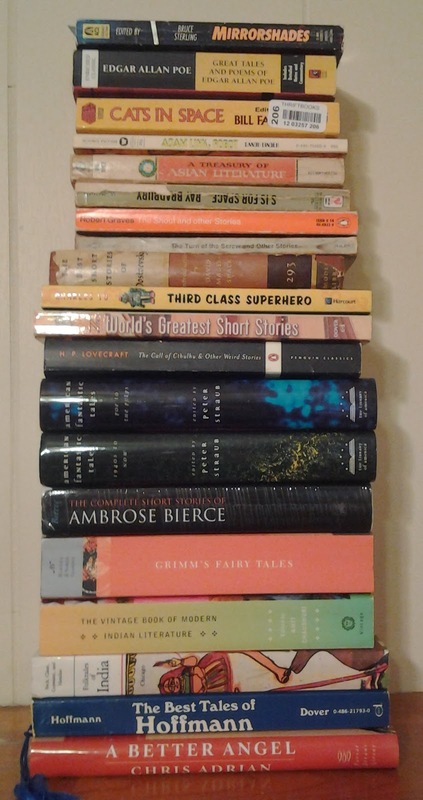 Like my reading challenge of last year, I feel like there's something to be said of reading and writing about so many great (and not so great) stories. The time it has afforded me to think about reading and writing has paid dividends in other realms of my life such as my own reading, teaching, and writing. 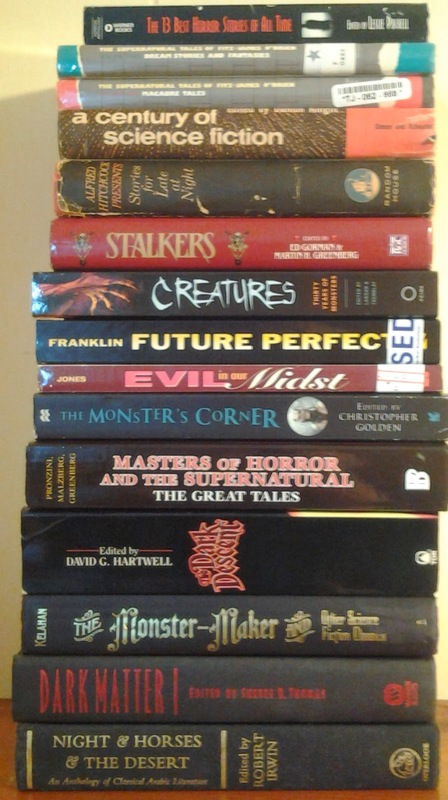 As I hone in on the finish line, I am a bit disappointed that the stack of anthologies that I first this project with has not diminished much in the interim. In fact, it might have slightly grown. But maybe that just means extending the project to two years.